Sure, Facebook is a terrific channel for connecting with consumers, and Twitter is a great way to capture the buzz on the street. But LinkedIn is the social media platform for B2B marketing — hands down. Whether your focus is on inbound marketing, lead generation, building brand awareness, or simply drawing comments from prospective clients, few networks can match LinkedIn in importance or features. Here are the top 10 ways to make LinkedIn a key part of your B2B marketing mix. 1. Build Your Reputation and Create Awareness. Two professionals sign up for LinkedIn accounts every second, so it’s the ideal destination to network with your peers. Use LinkedIn’s group and personal features to improve your credibility and visibility — both as a brand and as an individual. Remember to use the status update feature to keep your connections engaged; too many marketers forget this simple tip — and they get forgotten as a result. 2. Do Thought Leadership Marketing. LinkedIn has many features which make it easier to position yourself as a thought leader in your field: Participate in LinkedIn communities, answer questions, provide high-quality content, and more. As you build your own influence, LinkedIn also becomes invaluable for identifying and engaging fellow influencers. 3. Generate Leads and Sales. 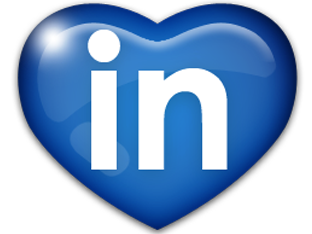 LinkedIn is, without a doubt, the best social network for lead generation. Besides traditional methods like linking to content for customers to download, LinkedIn makes it easy to connect with potential clients, answer their questions, and establish your presence in a venue they’re already using. 4. Use it with Social CRM. Most CRM tools will offer LinkedIn integration. Use it! An even better option: Many dedicated social CRM packages let you monitor your LinkedIn contacts’ activity in real time. Take advantage of this to get valuable information on what they want and do. Business-related content is shared much more often on LinkedIn than on Facebook, so posting your engaging content via LinkedIn status updates or groups can produce unexpected viral effects. Harness the power of LinkedIn’s hidden strengths to drive new traffic and build additional links to your site. Effectively communicating with customers, attracting prospects, cultivating business partnerships, garnering thought leadership — all of these require understanding your clients on the deepest possible level. LinkedIn is the ideal place to listen to them, ask probing (but appropriate) questions, and gain the insights needed to market more effectively. By expanding its own publishing platform, LinkedIn is making it easier than ever to publish articles, videos, SlideShare presentations, and other content directly to the site, giving users the tools to build their own positions as thought leaders. But don’t stop at sharing this content with your direct contacts. Expand your reach by creating or joining a group; then use that group to spread your content. 8. Take Advantage of LinkedIn Influencers. Only on LinkedIn can mere mortals share the stage with the likes of Bill Gates, Martha Stewart, and Richard Branson. One of the biggest opportunities a brand has on LinkedIn is to get their CEO featured in the LinkedIn Influencer Program, where a single Influencer post can produce over 31,000 views, 80 comments, and 250 likes. LinkedIn’s Showcase Pages allow you to build out fully functional, self-contained microsites inside LinkedIn for different brand initiatives. Each Showcase Page has its own followers, posts, and web links, making it easy to target prospects with specific initiatives—even if you have a very large marketing program. Sponsored Updates let you put your message in front of a precisely targeted audience based on their location, profession, company name, job title, industry, and more. Court new clients by publishing something related to the work they do, and ensure their employees see it. Or target decision makers at major brands with a concise message that will capture their attention. The possibilities are endless. LinkedIn offers extensive features and a large (yet still rapidly growing) community of users all focused on business, making it the ‘one-stop’ destination for many B2B marketers’ social networking. Any B2B social media effort would be incomplete without this quintessential business-oriented social network. But developing and executing a rock solid social media strategy is very tricky if you work alone. To maximize its value to your company, consider working with an independent expert or full-service marketing agency that can help implement best practices and closely manage various components that can make or break your strategy.